It is very well researched and the findings are overwhelming, happy, satisfied employees are far more productive. With this in mind, let us explore what makes a happy satisfied employee, remembering that we all spend at least one third of our day at the office. A well lit environment, preferably with as much natural light as possible. When we are in an environment where we have to strain our eyes in poor light, it can lead to headaches, eye strain and general irritability which inevitably results in strained inter personal relationships between staff members. 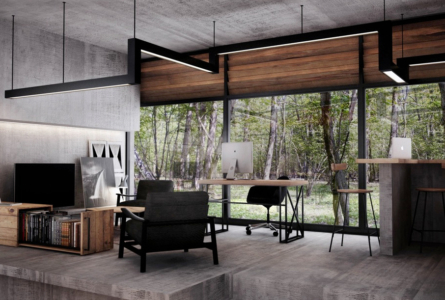 Most often simple, inexpensive office interior design elements can open up spaces resulting in more natural light and immediately, improved productivity. 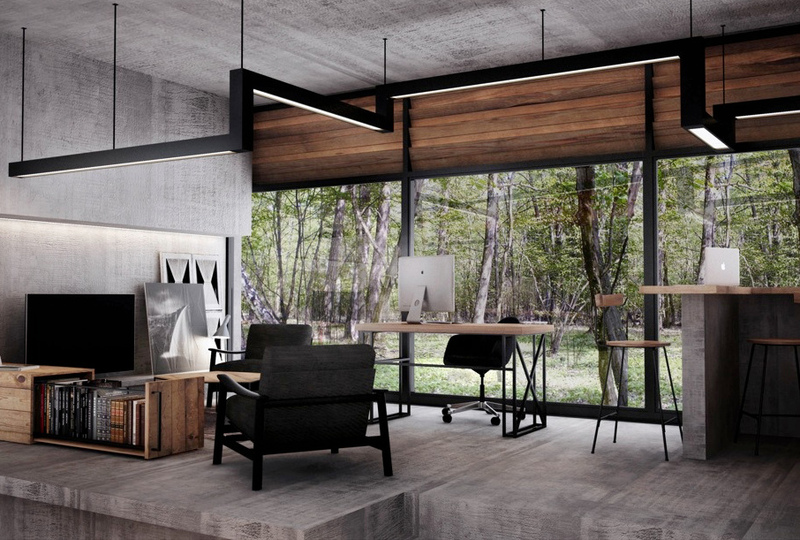 There are other aspects of lighting to consider with your office interior design plan from a savings perspective and technology perspective, for example, using LED lighting to lower energy consumption and make way for light spectrum Internet (light Fidelity) or LiFi which uses the visible light spectrum to transmit data at speeds of up to 10GB/second. 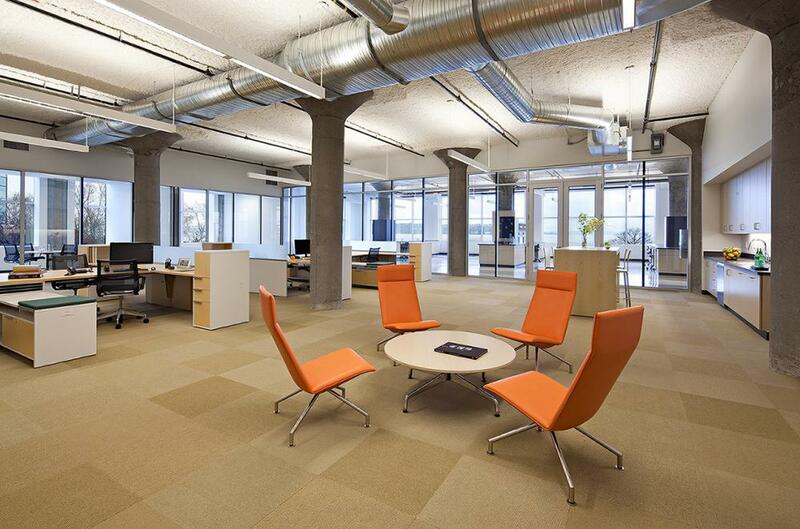 In the Office space Interior design, LED lighting is closer to natural light than conventional lighting systems. 2. A comfortable environment from both a physical and emotional perspective. In so many cases, a comfortable chair that is ergonomically designed can make the difference from being greeted with a smile and being greeted with a snarl. Never underestimate the value that an employee who sits at a desk most of the day places on their chair. Simple office furniture changes to an office interior design plan can make all the difference. A little colour, a plant and a new carpet could be all that is needed to completely change the office environment and productivity levels. Your staff are investing their precious time in your business to make it a success and while you may be paying them well, they deserve and need a comfortable office environment that will inspire creativity, concentration, loyalty and pride in the company they are committed to. In the bigger scheme of things, providing an office interior that inspires your staff and makes them feel welcome is all it takes to keep them happy and motivated. Whether it is a space that they can sit down at to have their lunch that is light, bright and perhaps has a view of the trees outside, or a space they can go and have an impromptu brain storming session with team members, we all need to get away from our desks for a few minutes a day to stretch our legs. 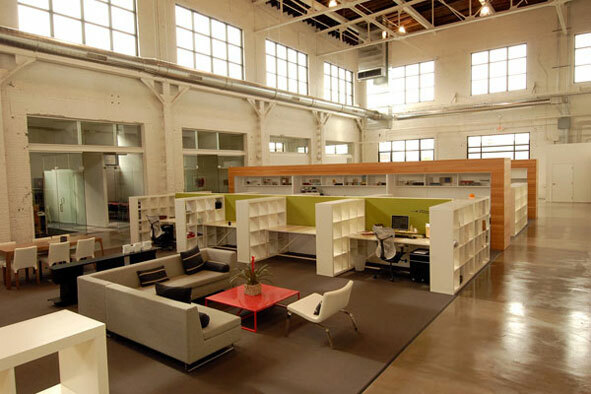 Modern office interior design, be it an industrial feel with open ceilings, natural light and a full time chef, or a modern, high tech office interior designed for a mobile workforce, they all need breakaway rooms that people can collaborate in. Not all office space design and space planning creates uniquely inspiring environments but with the materials and technology available today, almost any space can be better utilised and made to work better. Adding or bringing in natural light, the use inspiring wall coverings and paint techniques or changing to ergonomic furniture are some of the office interior design techniques that can make an incredible difference to the flow and effectiveness of the office working environment. 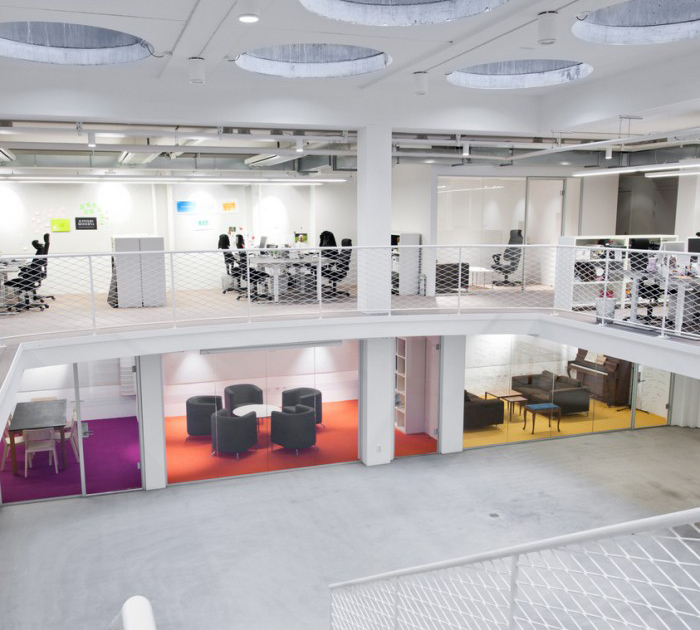 Contact us for some new and innovative space planning ideas that will turn your office space from a dreary workspace into an inspiring workspace.